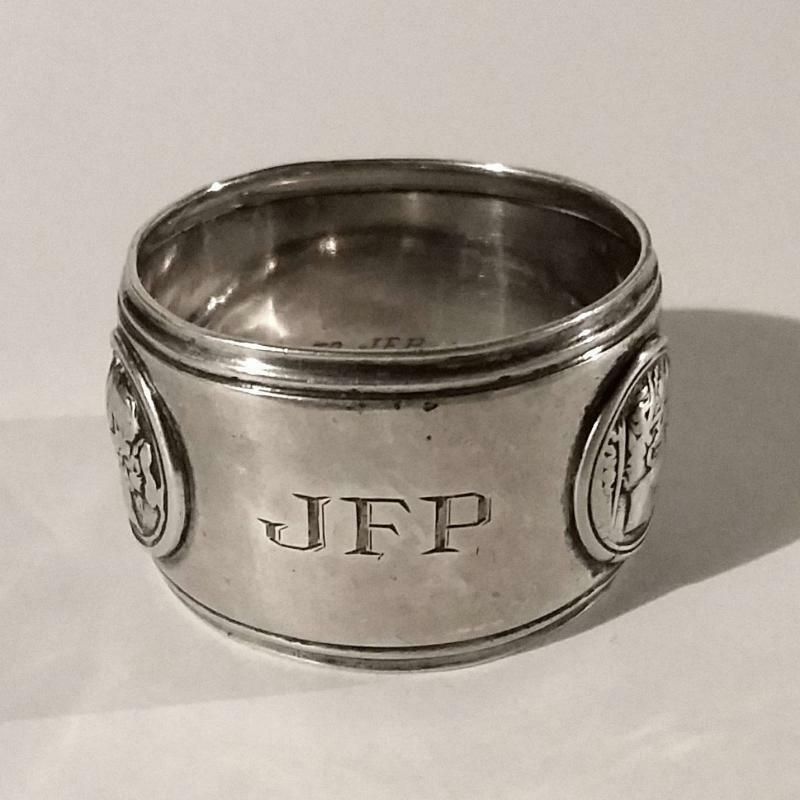 Edwardian - Victorian Sterling Silver Napkin Ring w/Medallions of Classical Faces. 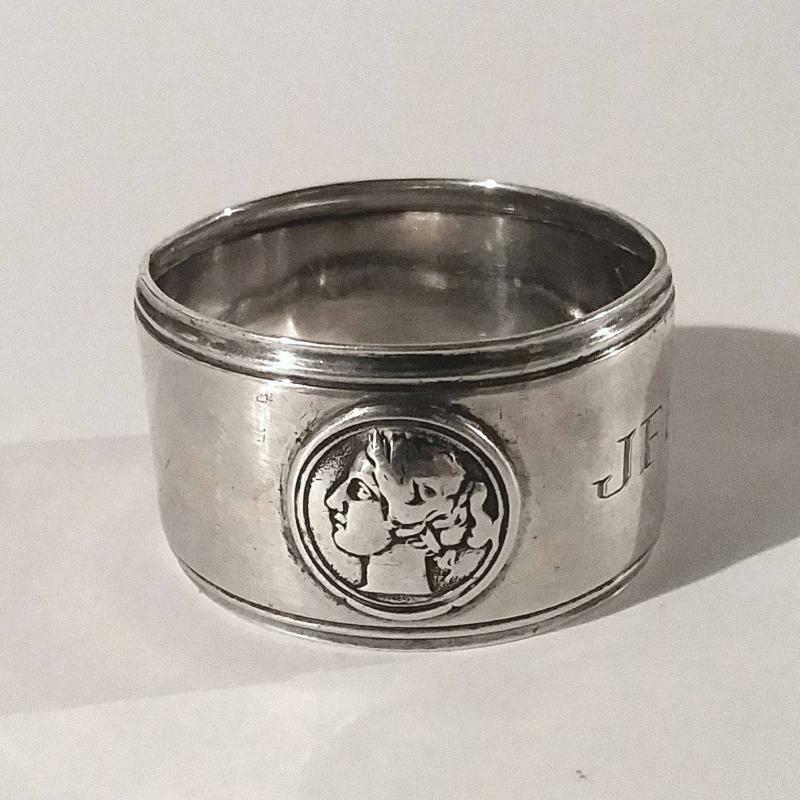 Monogrammed and inscribed with a date of 1887. Approx 1 7/8" dia.